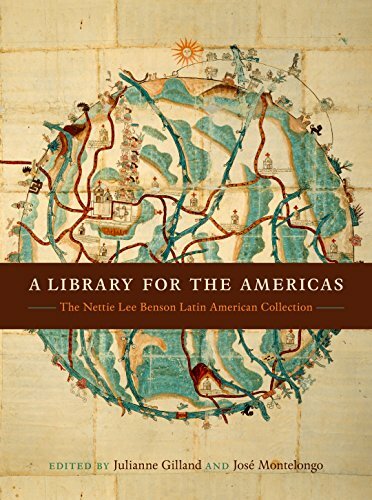 Founded in 1921, the Nettie Lee Benson Latin American Collection at the University of Texas at Austin has become one of the world’s great libraries for the study of Latin America, as well as the largest university library collection of Latin American materials in the United States. Encompassing all areas of the Western Hemisphere that were ever part of the Spanish or Portuguese empires, the Benson Collection documents Latin American history and culture from the first European contacts to the current activities of Latinas/os in the United States. Scholars, students, and members of the public from around the world regularly use the multifaceted, multimedia resources of the Benson. Showcasing the incredible depth, diversity, and history of the Benson Collection, A Library for the Americas presents rare books and manuscripts, maps, photographs, music, oral histories, art and objects dating from the early 1500s to the present. Images of and captions for these materials are paired with a series of essays and reflections by distinguished scholars of Latin American and Latina/o studies, who describe the role that the Benson Collection has played in the research and intellectual contributions that have defined their careers. As a whole, the book celebrates the remarkable place for learning that is the Benson Collection, while not shying away from larger questions about what it means to have a monumental library and archive devoted to Latin America in the United States. If you have any questions about this product by University of Texas Press, contact us by completing and submitting the form below. If you are looking for a specif part number, please include it with your message.